Sender nor receive a payment as the receiving party. So far Publishers living in Pakistan especially in cities like Lahore, Karachi and Islamabad are not yet informed through any communication medium. Neither have we heard anything from Badar Khushnood, the Country Google consultant. The information is undisclosed and both parties are trying to keep things confidential. We have not heard any print or electronic media reports on this so far. I discovered this news today when I visited the nearest WU franchise near my home in order to withdraw our company's monthly AdSense payment. Somehow we are really disappointed to know how badly the country is losing its trust and credibility day by day. With up to 80% AdSense Accounts banned each year in Pakistan, this is yet another set of a horrible news that embraced us today. 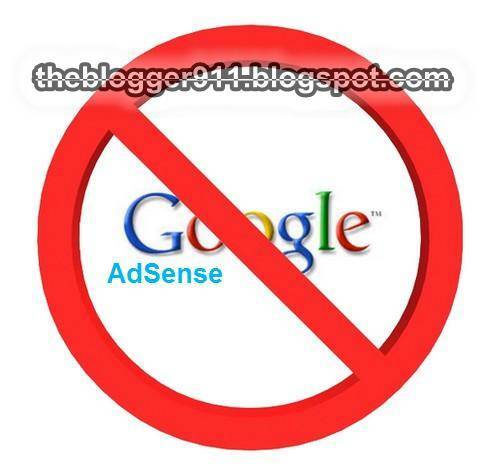 Now its time for all bloggers and webmasters to edit the Payment method using AdSense Account. This tutorial is aimed to help publishers from Pakistan to continue receiving payments from Google without using Western Union Money transfer system. Under Payment settings click the link that says "edit payment method"
Under the check options you will see two radio buttons. Standard delivery checks are sent by regular country mail and it often takes around a month but if you want to receive the payment as quickly as possible within 4-5 days then choose the Secured Express Delivery however this includes a charge of $25 which is the processing fee. Standard delivery is done by Pakistan Post but Secured delivery is often done by a reliable courier service which is often TCS and rarely DHL. We have chosen Express delivery option. You may choose as per your timely requirements. Hit continue and you are all done! Google payment checks are issued by Citibank Only. Pakistan is lucky in this case because CitiBank is offering services here for the past 50 years. But what will surprise you more is that Google checks can not be cashed out, they can only be deposited! This creates problems for Students and for those who don't have their Bank accounts. But wait the story does not ends here. Unfortunately Google AdSense Checks sent to Pakistan are in US Dollars only which means you must have a Dollar account , transaction of Dollars can be made on a Dollar account only. PKR account wont work with Google Checks. Luckily in our case, we recently registered our company and have opened both PKR and Dollars accounts at Standard Chartered Bank. It takes only a day to open a Dollar account, you just need to fill up some formalities. Will you be paid this month for your June Earnings? Since AdSense has a strict policy for monthly payment cycles, therefore if you are editing the payment method today then you will get June and July payments together at the end of July. We are a little late because payment settings must be changed 15 days earlier before the closing month. Therefore finger crossed for June earnings but be glad that at least you have set an alternative payment method. Why Google does not pay via PayPal or Bank Wire? Online Transaction method like PayPal in order to avoid hidden commission costs and charges. PayPal charges about 2.9% + $0.3 Per Transaction. On contrary WU charges much less i.e. Just $10 for a payment under $500. Google makes sense in case of PayPal but what about Online Bank Wire Transfer? Why can't publishers receive money straight in their bank accounts? This is where AdSense doesn't make sense at all! I just hope Google offers more flexible ways of Online transaction to its users and sort out this newly erupted problem in Western Union Pakistan. When will Western Union Lift the Ban? Not sure if this is a temporary ban or permanent, only time can tell. Since it's a matter of some serious fraud cases being caught and reported therefore unless Western Union recovers all the loses or make a new silent business policy deal with Google, we can't expect the ban to be lifted that soon. Share your precious discoveries with us. What do you know forced WU to take such a big decision? Will this create problems for you or you don't care and enjoy to be paid via courier? Please share your precious views with us.